String up the red, white and blue bunting! String up the red, white and blue bunting! 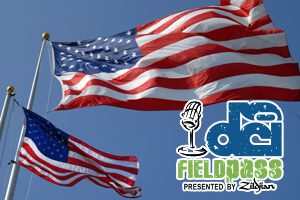 Fourth of July selections from Boston Crusaders, Troopers and Star of Indiana, plus a new Time Capsule challenge and your comments highlight a special Independence Day edition of the Field Pass presented by Zildjian.